As you may remember, I mentioned on our fourth year anniversary post that we were working on a cookbook with Anthony Lamas who is the Chef/Owner of Seviche, A Latin Restaurant in Louisville, KY. At that time, we were still in discussions with agents and publishers, but now, I am happy to announce that the book deal is official. 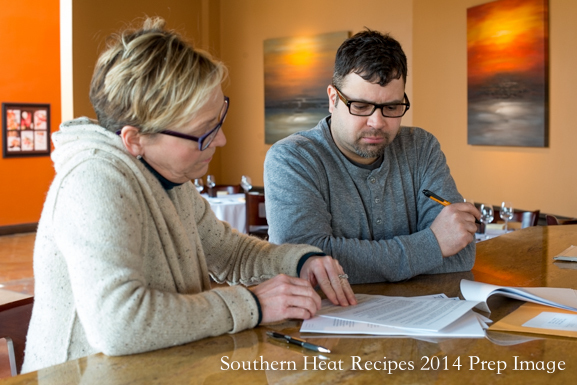 I am coauthoring Chef Lamas’ debut cookbook, Southern Heat – My Life Through Food, which will be published by The Taunton Press in the fall of 2015. This is also my first book, so needless to say, I am very excited and honored to be working with such a talented chef and incredible publisher. Taunton Press publishes a number of home, lifestyle, and cooking publications and books along with the well-known Fine Cooking Magazine. In addition, they are the creators of the new and highly acclaimed PBS television series, Moveable Feast with Fine Cooking. 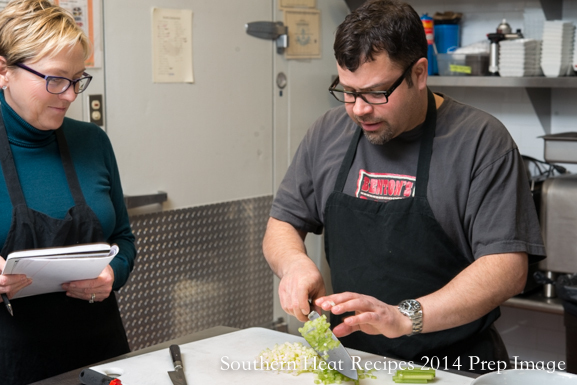 Chef Lamas will be a guest chef on the show, filming in late spring. 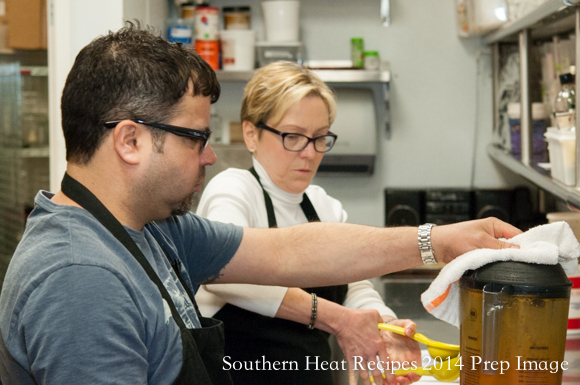 We first met Anthony when we traveled to Louisville for our On The Road culinary adventures tour in October 2011. We were so impressed (and so were our guests) with Anthony’s passion around food, his unique flavors, and engaging personality that we returned the following year for another Kentucky culinary tour. Over the past two years we’ve spent a lot of time talking about the possibility of a cookbook. We worked together to craft a proposal and find the right publisher and now the hard work has paid off, so here we are working on the book. It’s a team effort as Mr. B will be doing all of the photography for the project. Anthony has had an incredible journey over the years with numerous accolades personally and for his restaurant, Seviche. A three-time James Beard Award Semi-Finalist for Best Chef Southeast, Anthony won the first season of Extreme Chef on Food Network in 2011; he was on the premier episode of Beat Bobby Flay on Food Network; was the featured chef in the documentary Back Home on Fusion network; and most recently appeared in an episode of Bar Rescue on Spike TV. He’s been named one of the top Latin chefs in the country and has had numerous television and special guest appearances at events and food and wine festivals around the country, been featured in many magazines, and recently launched a brand of Bloody Mary Mixers he developed with Master of Mixes. As a Seafood Ambassador for the Monterey Bay Aquarium, he will be cooking at The James Beard House this summer in a collaborative effort with the aquarium. It will be his sixth visit and time to cook at this prestigious venue in New York City. Anthony’s personal journey is intriguing and often as spicy as his food. It’s a unique and heartwarming story and his cooking reflects the flavors of his life. We love his Latin and West Coast interpretations of Southern dishes with regional ingredients and his modern versions of traditional Latin cuisine. 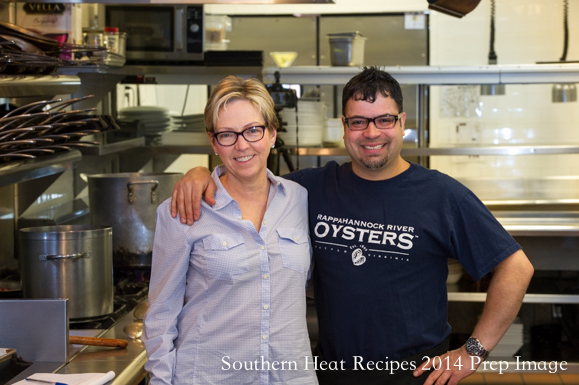 I look forward to working with him on this collaboration and bringing his story and recipes to life on the pages of Southern Heat. I’ll be sharing more details with you during this journey and yes, Bunkycooks will still have recipes and travel posts throughout the process, however, most of my time and efforts will be focused on the book until late this year. You can follow our progress on the book while we prepare recipes, travel, and write on our Spicing Up the South page on Facebook. You can also follow us on Twitter and Instagram with the accounts listed below and the hashtag #spicingupthesouth, so stay tuned! We’re hard at work right now, but we’ll be back soon! 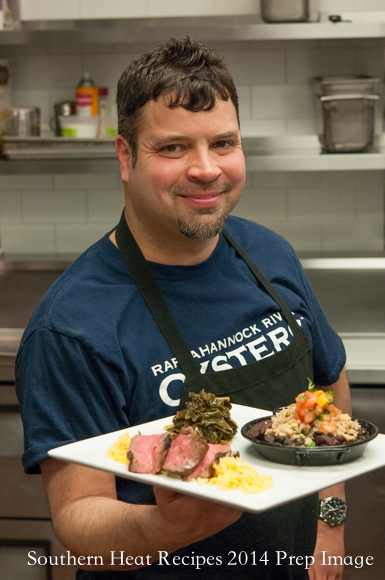 Needless to say, I am so excited for the Pratesi family and many congratulations to Chef Anthony Lamas! I know each of you put heart and soul into this project, and that Taunton Press is publishing, well…that is great praise! We’ll be following along Gwen, and can’t wait to raise a glass when you, Roger and Anthony come to New York! Thank you and we’ll look forward to seeing you in New York this summer! I’m excited and honored to work with The Taunton Press, Roger Pratesi, and Gwen Pratesi! Your motivations are inspiring. We are wishing you a fun and enjoyable process. We are happy for you. Thanks for the share. Good luck! Thank you and I look forward to sharing some more about the project along the way. So exciting, Gwen! I cannot wait to get my hands on a copy. Cogratulations! Thank you, Gina. We’re very excited about the project!